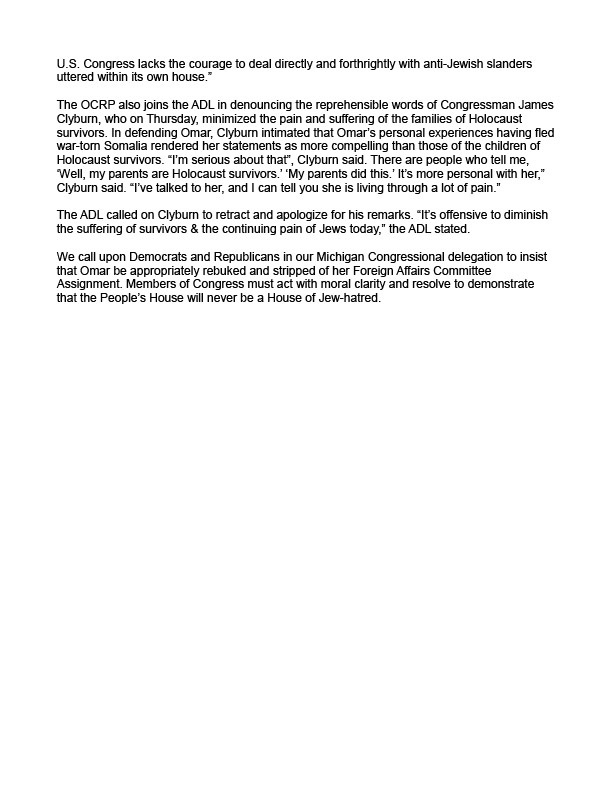 The OCRP has released an official press release condemning the anti-Semitic comments made by freshman Representative Ilhan Omar, and the failure of the House Democratic Caucus to take appropriate action. The press release in displayed below in it’s entirety. 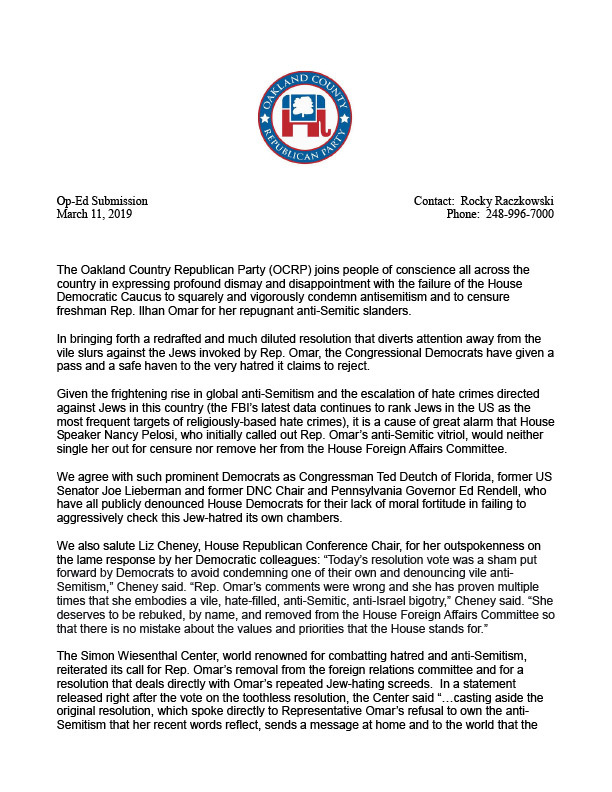 Click here for a downloadable and printable version of the press release.